I’m always trying to find new ways to make a Scentsy Buddy display for my larger events. A few months ago, while scrolling through Pinterest, I came across a great idea that got me thinking. Well it just so happens that I have a good friend who’s super handy and can make just about anything. His name is Mike and I gave him a call with my idea for a new Scentsy Buddy display. 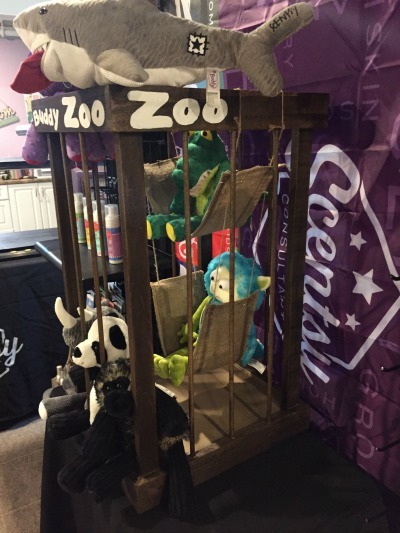 With the Cincinnati Baby & Beyond Expo coming up, I wanted something fun to draw attention to our super cute, scented stuffed animals, our limited edition Scentsy Buddies. There will be lots of new mommies, babies, kids, families, all looking for some helpful tips, ideas, fun, and conversation. I’m super excited to share our Scentsy products and maybe even talk to some Mommies that want the flexibility of working from home. 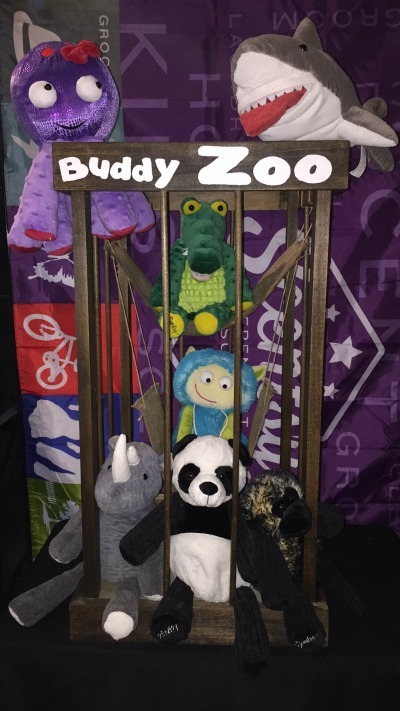 Since I really wanted a new Scentsy Buddy Zoo display for events, I gave my friend Mike the dimensions I thought would be perfect for my table display. I had him make it 16″ deep, 18″ wide and 2.5′ tall (so I can put the Buddy boxes in there if I wanted). About a week after I gave him the measurements, he brought it over in it’s raw form. I stained it a dark walnut color and since it’s a bit tall, I made a couple of burlap swings for these cute little buddy friends to sit in. My husband’s favorite book as a toddler was “Put Me In the Zoo” by Robert Lopshire. I started thinking about that book and the fun touch it would add with the painted the words at the top, “Buddy Zoo”. I think it turned out super cute and can’t wait to display it this weekend!